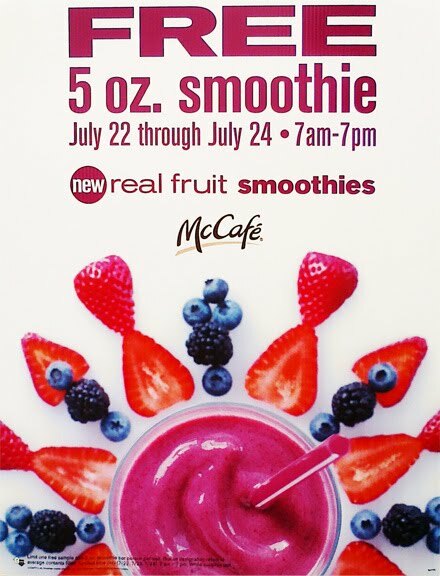 Head on into to a participating McDonald’s to get a Free 5 oz Smoothie From July 22nd to July 22nd – 24th They are made with low-fat yogurt and your choice of Wild Berry or Strawberry Banana. 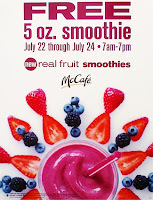 I always suggest you call your local McDonald's ahead of time to make sure they're particiapting. Enjoy! Thanks, MojoSavings.